Abu Dhabi: A member of the Federal National Council yesterday put a motion to the Ministry of Economy to waive the value added tax (VAT) for low-income people and instantly impose penalties on violators of the VAT laws. 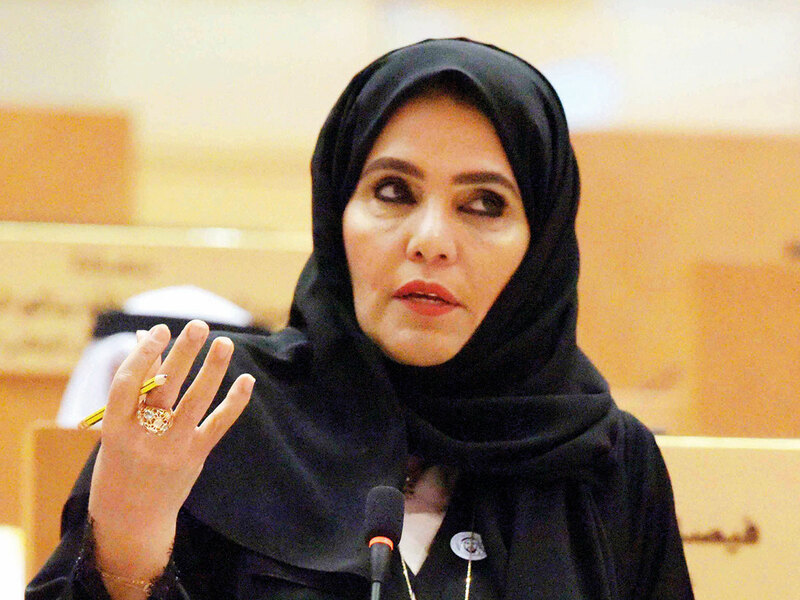 Na’ama Al Sharhan, a member from Ras Al Khaimah, put a question to Sultan Bin Saeed Al Mansouri, Minister of Economy, concerning the action taken against businesses, which use the value added tax to manipulate prices of goods and services. Al Sharhan said although the introduction of value added tax in the UAE has diversified the government revenues while limiting inflationary impact to the minimum, the impact on the low-income people is tangible. “So I propose waiving the VAT tax for the low-income people whose monthly income is up to Dh10,000 and those who receive social assistance,” Al Sharhan told the House. The member said instant action should be taken against offenders of the law as part of the Ministry of Economy’s efforts to follow up on the implementation of the value added tax and to fight unjustifiably increased prices. The minister admitted there have been illegal practices on the part of certain businesses, but said action was taken against these businesses. “Some 3,670 violations were issued last year after conducting more than 13,846 inspection trips to markets across the emirates against businesses which failed to comply with the VAT laws,” Al Mansouri told the House. Penalties range from Dh500 and not more than 300 per cent of the value of the tax of the transaction with the violation case. All companies are required to strictly comply with all VAT rules and must keep track of required records as mandated by the law. Failure to do so will subject the violators to pay the unwanted penalties and fees. Failure by the taxable business to display prices inclusive of tax carries a fine of Dh15,000, while failure to issue a tax invoice or alternative document when making any supply carries a fine of Dh5,000 for each missing tax invoice or alternative document. Failure by the taxable person to provide the authority with price lists for the excise goods they produce, import or sell carries Dh50,000 fine for the first time, and Dh20,000 in case of repetition. Al Mansouri said the inflationary impact following VAT’s introduction was modest (2.6 percentage points on a month/month basis between December 2017 and December 2018). In part, this was due to the impact of exemptions and zero-rated items. In addition, the ongoing deflationary trends in international markets also helped to contain inflation. The minister said the ministry receives complaints from the customers from 8am to 11pm on a daily basis. “At the beginning of this year, the ministry also launched an initiative to reduce or keep prices of 5,000 goods unchanged,” Al Mansouri said. Of the six Gulf Cooperation Council states, only Saudi Arabia has introduced the tax along with the UAE from January 1, 2017.